Chole or Kabuli chola or Garbanzo beans is a big hit in all Indian homes. Though, its originally a North Indian recipe, but chole bhature is a big hit in my family. The fluffy fried breads, bhature accompanied with spicy garbanzo beans is a big hit all the time. To make kabuli chola along with the regular blend of ginger garlic paste, coriander and chili powder a spice mix is used. 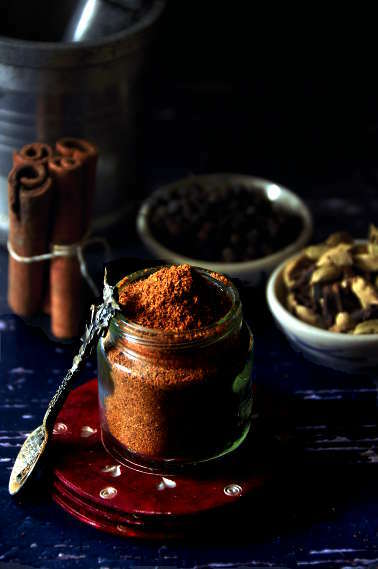 This spice mix is sold by almost all popular Indian spice brands from Everest to MDH, its called chole masala. But, I’m a little apprehensive of using the packaged spice mixes, mainly for two reasons. First, they don’t have the freshness that you get from homemade spice powders and secondly, they come in large packages and for a family of two most of the times the spice mix expires before I can finish the whole package. So, the simple solution to my problem to make my own batch of chole masala spice mix. Definitely, it takes some time and work to make it, but the flavor and aroma of freshly ground spices is worth all the trouble. 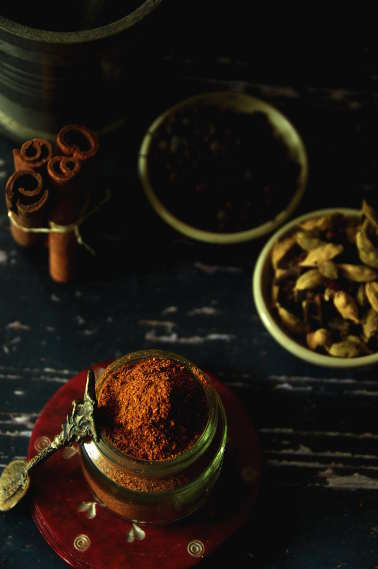 It takes more than 15 spices to make this masala, so even a tablespoon of each spice will yield quite a good amount of the masala. I grind the spices in a coffee/spice grinder and takes me 2 to 3 batches to grind the whole amount. Dry roast the sesame seeds using a lid on the pan, as the sesame seeds splatter. Transfer to the same bowl and wait till it’s cool. Sieve once to get rid of the larger bits and store in an airtight jar or use immediately. 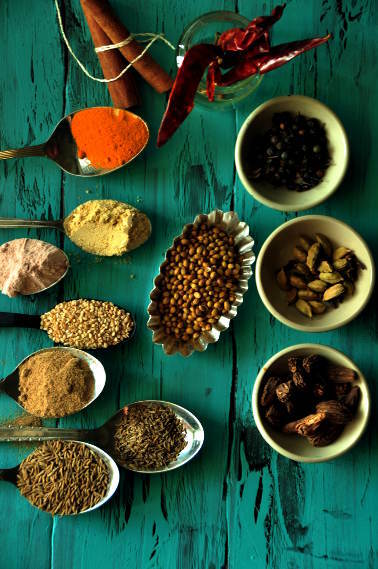 Chef’s tips – For ease of grinding in the grinder, once all the whole spices are dry roasted you can put them in a zip lock and use a rolling pin to crush the spices and then transfer to the grinder to make into a powder. Interesting. Please give it for “bature’. I have heard that you need to prepare the dough for bature with curd instead of water.